In the old days, I gave a ton of speeches at conferences on video conferencing technology. At the end of my talk, during the Q&A session, two people stood in the audience with wireless microphones that they would give to audience members who had a question. Invariably, one of the two microphone people had to weave their way thru, over, or between other audience members to get to the questioner who was ALWAYS in the middle of every row. Very funny, but, the process worked (as long as the mic batteries were working…). Sometimes, the audience was given a special polling device and the presenter would ask questions and wait for a response from the audience. I loved this as the results of a poll question was available instantly. Now every audience member with a smartphone has the polling device in the palm of their hand. Cool. I am not an extrovert, so I had to pump myself up–a lot–to give a presentation or to ask a question as an audience member. 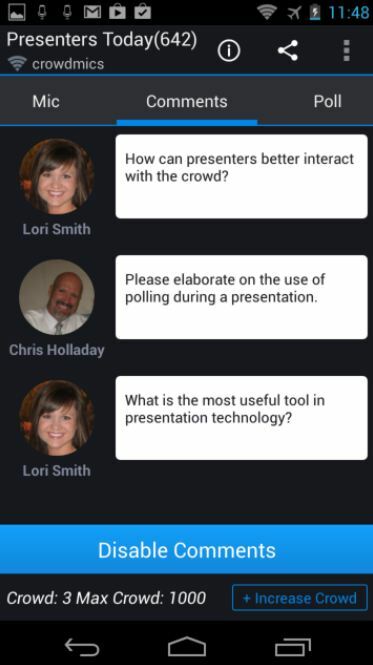 Having the ability to text my question, like I do in a video conference or streaming video presentation would have been perfect. Fast forward waaaayyyy too many years, and a friend (errr, connection) on LinkedIn posted a link to “Crowd Mics”. Trusting that persons judgement, I went to the Crowd Mics web site (March 28, 2019 UPDATE: The web site ain’t there…..guess I outlasted them!) 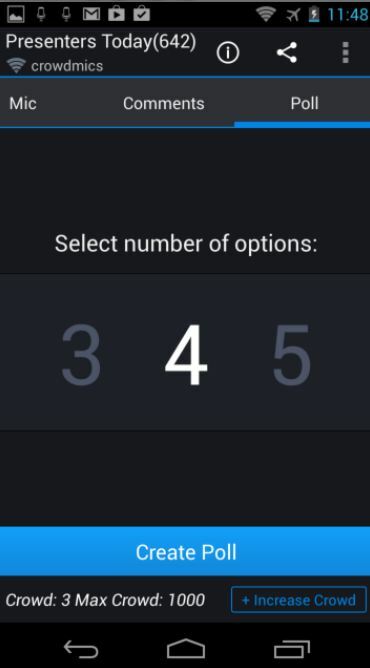 and immediately saw the value, and benefit, of this app…..wow! Another paradigm is shifting. Very cool. 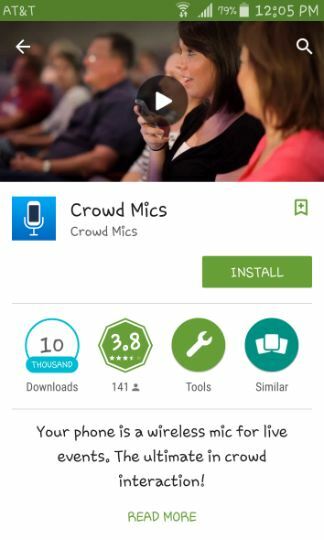 You can grab Crowd Mics for your smartphone on the App Store or Google Play. It is free. 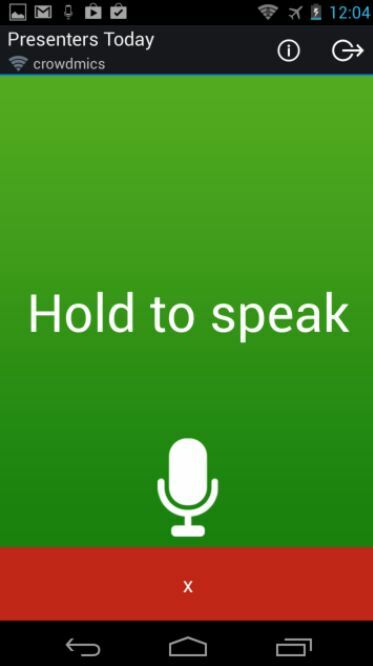 This appears to be a great app (I have not used it, so I can’t be sure). But…..if I were back on the speaking circuit, I would definitely give it a try! 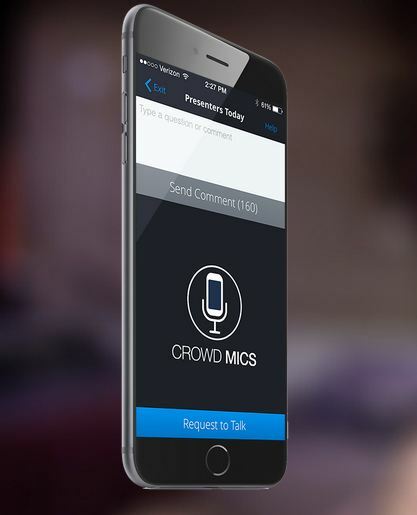 If you have used Crowd Mic, please comment your opinion below. I have used it 🙂 I Co-Founded it haha. Thanks for the post! No problem. Good luck with everything, great solution.